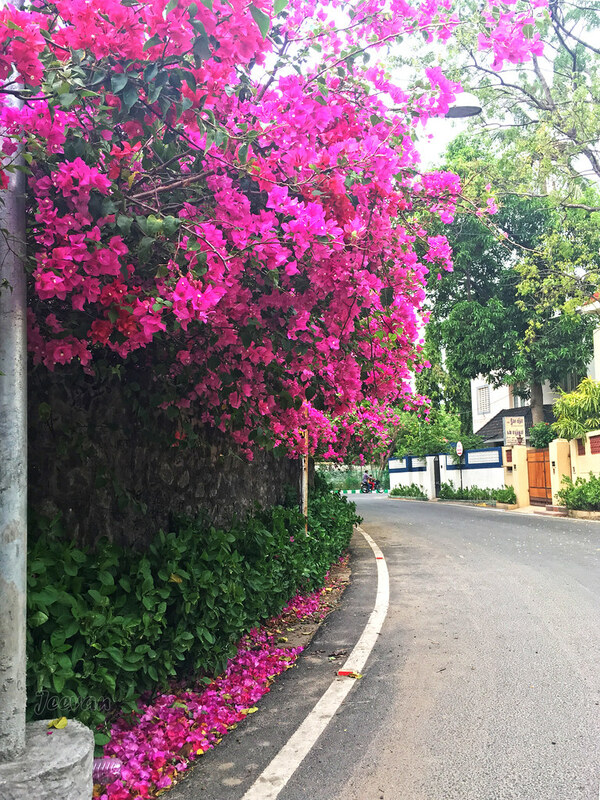 During an evening walk other day I capture these pretty Bougainvillea glabra turning the quiet road of this into very pleasant in the presence of these blooms, making way outside the compound of a school campus in neighborhood. Sometime I used to take my iPhone when going for walk in evening to capture anything interesting I come across and if it is within our area or streets I just keep away this little weight from the pocket. The pictures were bit edited with Photoshop to bring out some rich colors and neat look. Bougainvillea glabra, the lesser bougainvillea or paperflower, is the most common species of bougainvillea used for bonsai. 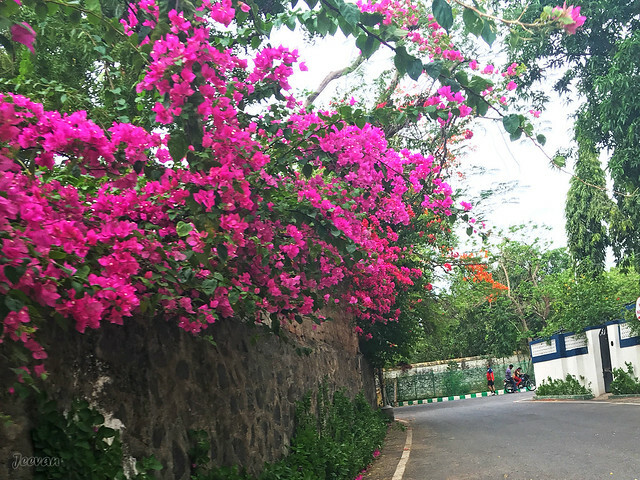 glabra is heat and drought tolerant and frost sensitive bougainvillea and it needs full sunlight, warm weather and well-drained soil to flower well. Oh Jeevan---those are GORGEOUS.... I love that color. It just brings so much beauty to that area. Thanks for sharing. It is a beautiful specimen. I really like the plant but we can’t grow them in our climate. I see them on blogs along the East coast of United States. I have seem them growing in our botanical center where it takes one the entire rock cliff of a waterfall. The people in the back of your photo have some great colors with you enhancement. Oh such beautiful floral photos! Gorgeous! Great perspective on this beautiful photo. The color is gorgeous. Hello, gorgeous blooms. I love the bougainvillea, lovely plant and photos. Happy Sunday, enjoy your day and new week ahead. PS, thanks also for the comment on my blog. 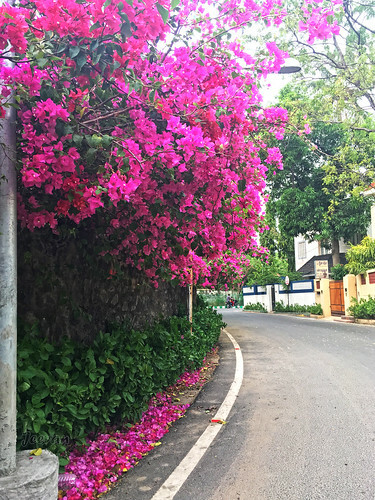 Bougainvillea are bright and beautiful! Have a great new week! You've captured some very beautiful blossoms here. Well done!